classical texts provide little information about the city and also in a moment late, so Ptolemy quoted Queiles and along the banks of the Moncayo, placing it with Bursau (Borja, Zaragoza), Caravis (Magallón, Zaragoza) and Caiscata (Cascante, Navarra) in the territory of the Luson. 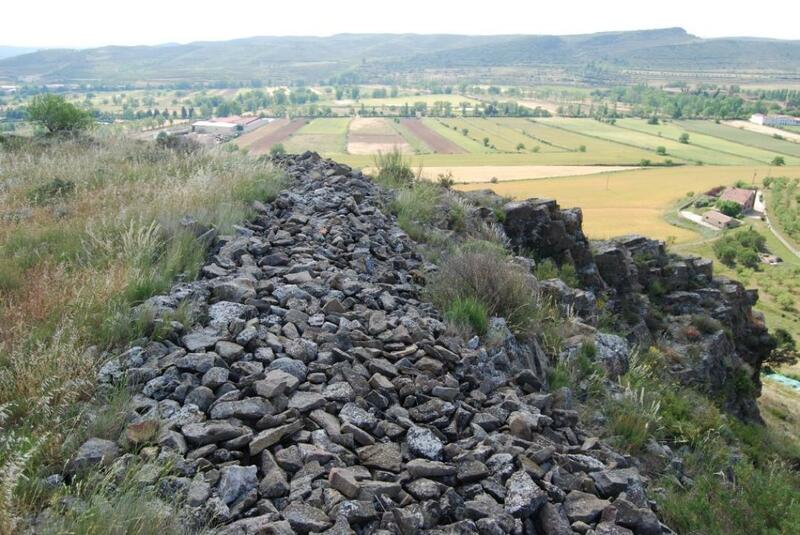 Pliny collects late Celtiberian iron fame both Bilbilis , as Turiaso . 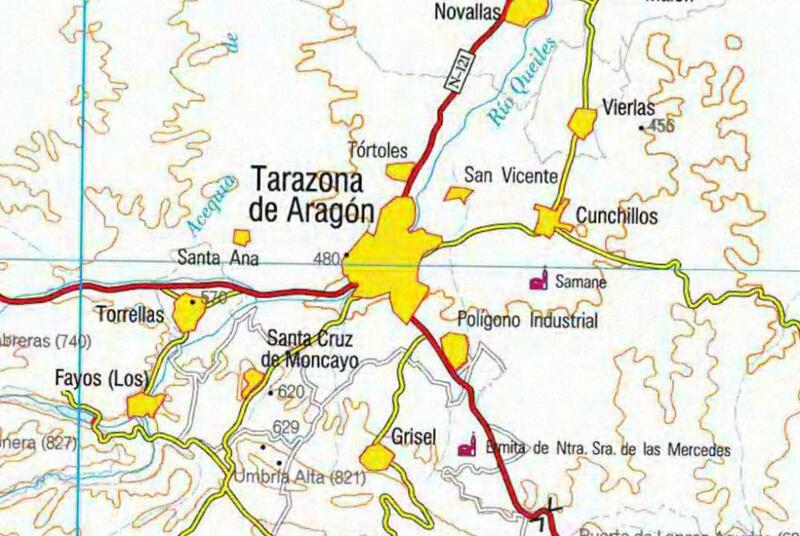 Traditionally city location celtibérica ( Turiazu ) has been attributed to Tarazona, even without clear evidence Celtiberian levels below the Roman city ( Turiaso ). Recently, however, have been at the top of Tarazona, below Roman levels, remains Celtiberian in holes or caves carved into the rock, though the materials are scarce and fragmentary "look" Celtiberian, what which has led to think in a city with its houses terraced and partially excavated in the rocky slope, which would have determined its location. Alternative to weak data is provided by the site of La Oruña, according to their size, abundance of remains, defensive system, urban complexity, timeframe and central place theory (failure two great cities to live so close). road following the Z-373 will reach the height of the Monastery of Veruela and catch the right way in a northeasterly direction (the hill is facing to the right), leaving the first a path on the left and immediately another right, to reach the foot of the hill. A path to the right to access the hill. 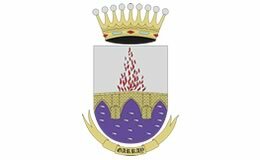 town of La Oruña is located in the municipality of Vera del Moncayo. 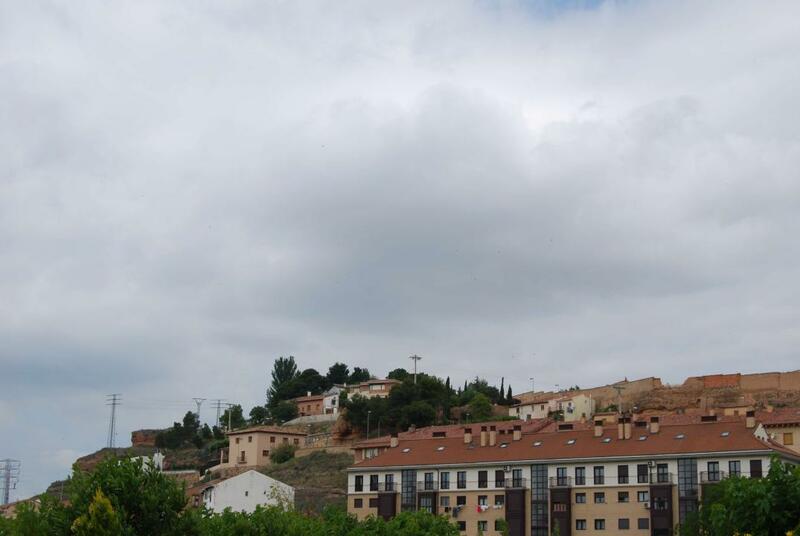 This is an isolated hill (now known growled and place names medieval, from the thirteenth century, as Oruña ) in front of the entrance Veruela Monastery at the foot of Moncayo. 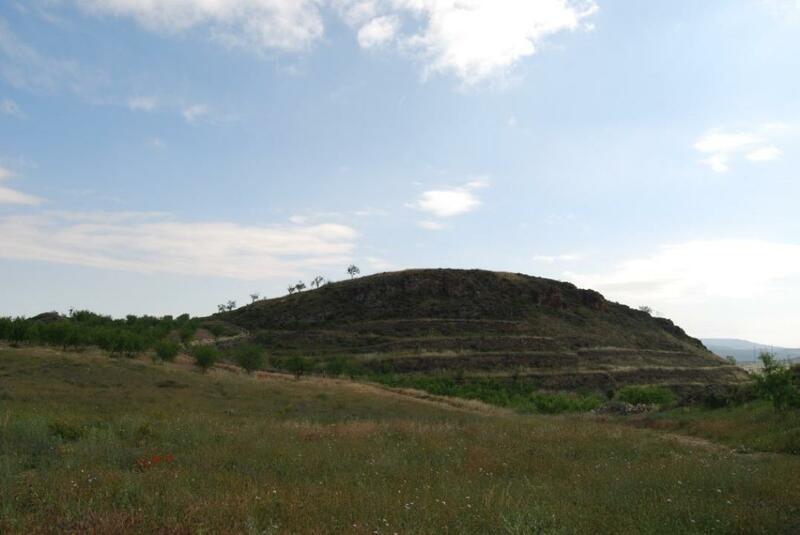 The site is a comprehensive settlement Celtiberian, whose ancient name is unknown, although various authors claim that this could be the Turiazu celtibérica, the Luson, which would different location Turiaso Rome, located in Tarazona. Observed first excavations took place in 1917 and were made by the Jesuit world, members of the community which occupied the monastery. The remains were exposed in a small museum in the convent itself enabled until the Jesuits left the monastery in the sixties of last century. 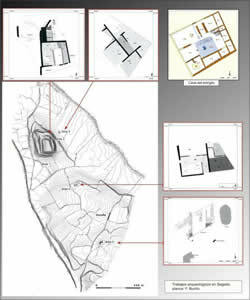 Again archaeological excavations between 1989 and 1990, by JJ Real Calvo and J.A. García Serrano. 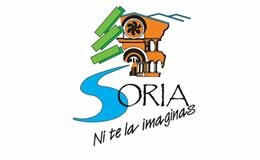 Is currently conducting an archaeological project, directed by Sofia Gómez Saiz Carrasco Esperanza Villahermosa and supported by the Government of Aragon, the City of Vera de Moncayo, and the Center ASOMO Studies of Segeda Cel. 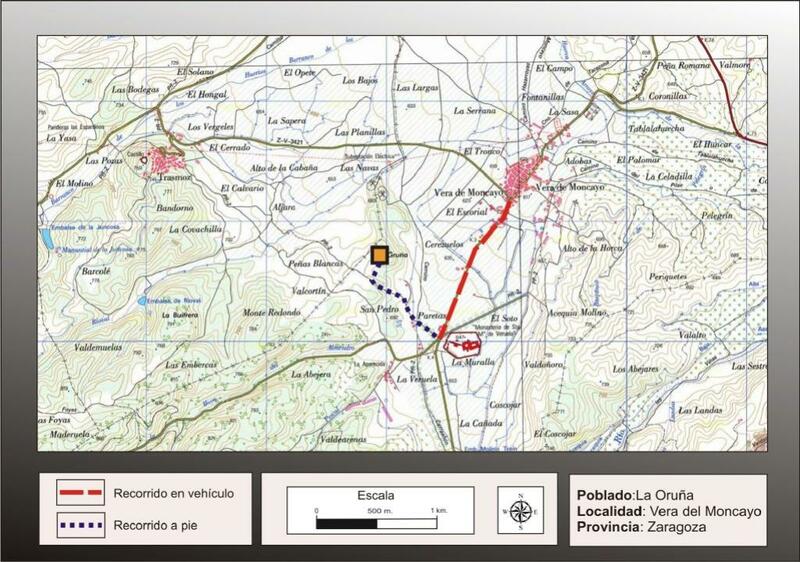 A reservoir with an area of 9HA, indicating a possible city institution. First excavations were focused on the northern and western side, providing abundant Celtiberian ceramics, fragments of Roman pottery black varnish (Campanian) and metal, mostly weapons (swords) and tools (billhooks and knives) of iron. was surrounded by a walled enclosure and pit at the remains of room in the upper zone (we excavated two blocks of houses, restored from now), but the village also extends around the hill, showing rectangular structures. 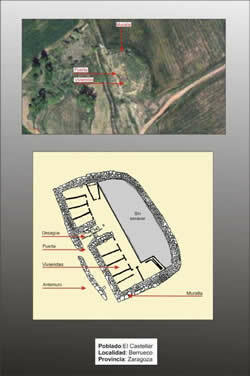 Recent excavations have brought to light a kiln large (5.90 m long by 5.75 wide). 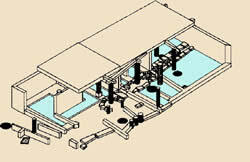 This oven is "dual-chamber vertical shaft, ie, the cooking fire was located in an underground area, separated from the ceramics, which were arranged in a Ca upper chamber (of 14.50 square meters) connected to the lower floor by a perforated or grill (of 4.30 m in diameter), allowing to pass the heat for cooking. 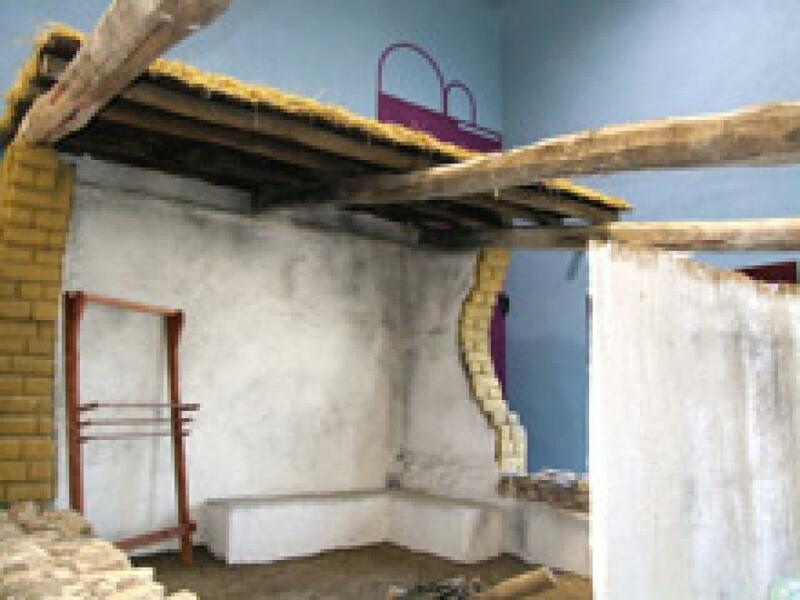 oven, which has a perimeter wall 75 cm wide, is the second largest known celtibérica time, and is surpassed only by that of Carralaceña, connected to the city of Pintia vacceo, Padilla de Duero, Valladolid. 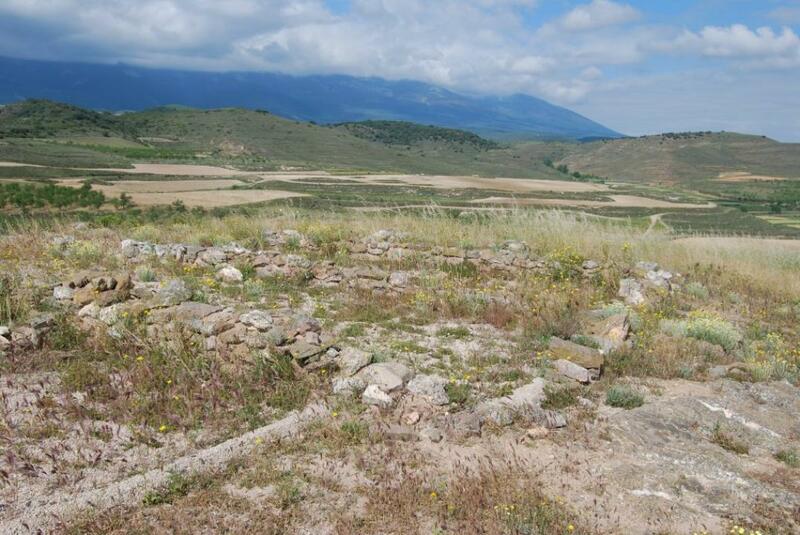 But the finding that so far has conditioned the interpretation of site was the finding that Father detailed world as "a thick tube of clay with the blackened end, very similar to that used by the Celts" , related with a smelter metal , be inferred that the iron Moncayo should be the main source of wealth Turiasu . The analysis of the slag obtained have shown that true high quality mild steel. Bona, I. J. and others (1983): Catalogue of the archaeological collection of the Monastery of Veruela. Turiaso , IV :9-92. Bona, I. J., Hernandez, J.A. (): The Oruña (Vera de Moncayo). Biene, J.J., Garcia, J.A. 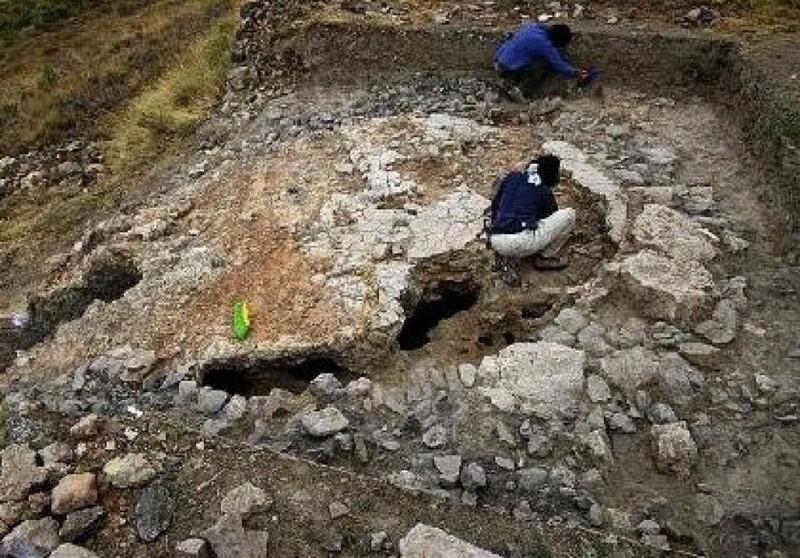 (1995): Advance to the first excavations in the Oruña. III Celtíberos Symposium. Settlement , Zaragoza :141-155. Gozalbes, M. (2002): Coins of Turiazu. Turiaso , XVII :135-153.
center, which occupies one of the ships of the former Chamber of Agriculture (stone façade remains), has an area of 484 square meters divided on two floors. presents original pieces of pottery and metal from old excavations Father's World, which formed part of the collection was exhibited in the former Monastery of Veruela, before being abandoned by the Jesuits, so as pieces donated by the Provincial de Zaragoza, recovered in the work carried out in the former monastery, in the eighties, by a School Restoration Workshop led by this institution. 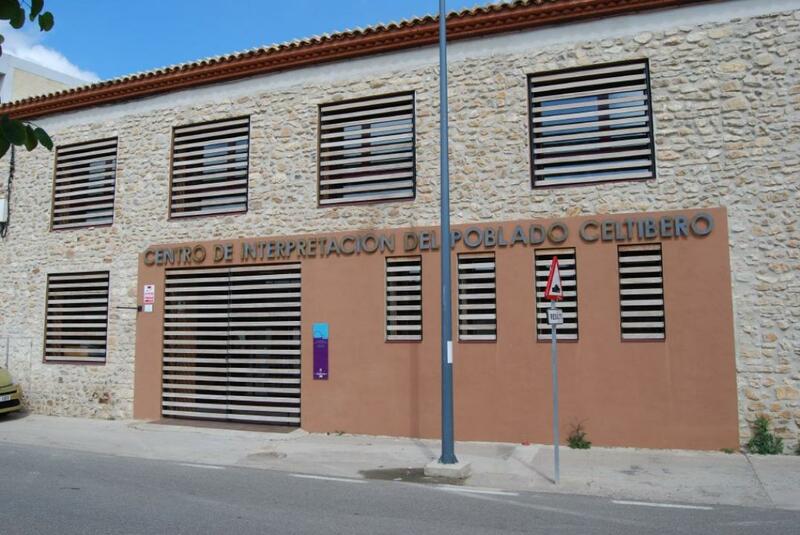 By installing an exhibition that aims to be entertaining and educational, this is to show visitors how, when and why the old village of Oruña Celtiberian settled at the foot Moncayo. Among the resources used emphasizes the reconstruction of a house Celtiberian scale reproductions of parts Celtiberian in 3D, the thread of a story told by an old ghost. signposted and access is free. Roman administration founded another city to replace the previous celtibérica keeping the same Indian name, Turiaso , and probably moving their people this new settlement, to exercise better control now under Roman imperial planning of the area. Turiaso , said Roman town from the year 31 BC, lies below the present town of Tarazona, well documented by the numerous findings in the basement of different areas the resort has an impressive head of Augustus on sardonyx and the marble head of Minerva recovered architectural cult to water found in Allue the site of Salvador. 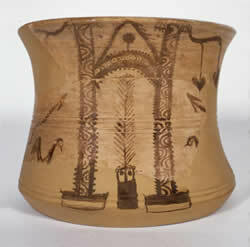 Paz, J., Royo, I., Beltrán, M. (1980): Excavations of the Provincial Museum of Zaragoza in the Municipium Turiaso (Tarazona, Zaragoza), Caesaraugusta , 51-52. Bona, J. (1981): On "Municipium" of Turiaso in antiquity. State of affairs today. 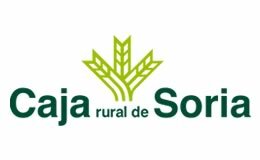 Workshop on current research studies Aragón , vol. 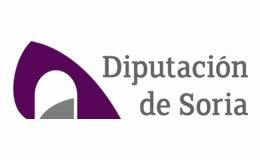 I.
Beltrán, M., Paz, J. (2002): The holy waters of Municipium Turiaso. Excavations in the courtyard of the College Joaquín Costa, Tarazona (Zaragoza), Caesaraugusta , 76. 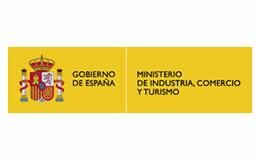 Tarazona Studies Center, a subsidiary of the Institution "Fernando el Católico", is located in the basement of the Episcopal Palace, where you can visit the permanent exhibition of Archaeology, where you can appreciate remains found in the town of Tarazona and its environment. 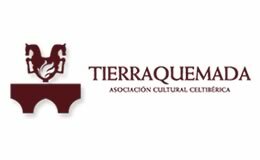 should be noted the galleries devoted to Celtiberian world and specifically the objects from the site of La Oruña probably Turiazu celtibérica. You can also see the remains of the Turiaso Roman, found in the basement of Tarazona, and in the Roman villas of the environment.